We’re in the heart of the Florida Keys, 1/2 way between Key Largo and Key West. 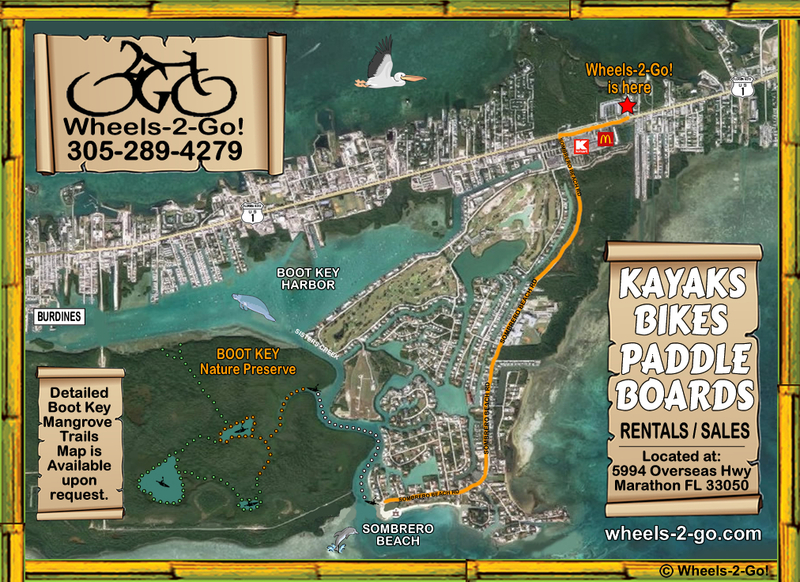 We are Marathon Florida’s only spot for Kayak Rentals, BOAT SALES and Bike Rentals. Our business is located in the heart of Marathon, South of the Airport and across the street from McDonald’s.